Are you losing some of your locks because of lupus? Hair loss isn’t usually listed among the core symptoms of lupus, but it does affect many people living with SLE (systemic lupus erythematosus) and discoid lupus. It may be caused by lupus itself, certain treatments for lupus, or other illnesses or health issues (such as thyroid problems or nutritional deficiencies), according to the National Resource Center on Lupus. How do PatientsLikeMe members manage it and try to protect their mane? The same tips and products won’t work for everyone (and remember to check with your doctor before trying new supplements or treatments) — but here are a few pointers and perspectives from members who’ve had hair loss. Others say that supplements and treatments haven’t helped in their case, so they stick with short haircuts, wigs and/or extensions. Lupus News Today rounded up “9 Tips to Prevent Hair Loss,” including talking with your doctor about your treatments, keeping stress levels low, getting plenty of rest, and avoiding sun exposure and certain kinds of lighting that may contribute to hair loss. 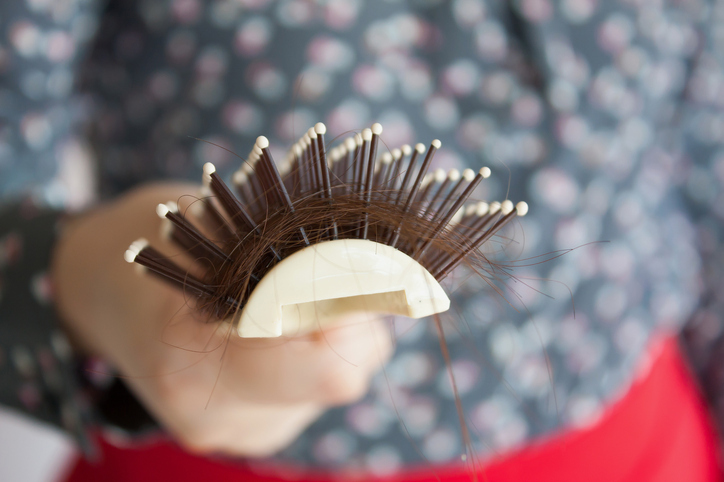 Have you experienced lupus-related hair loss? Join PatientsLikeMe or log in to connect with others on this topic today.